Freestyle Kings also own America's first ramp infrastructure built onto a International Truck. This allows for fast bump in and bump out events. Much like our Australian ramps we are able to set the ramps up in just 5 minutes and drive them straight into position and then ready to bump straight out for special events. For example a half time show at an NFL match. Our America Infrastructure is based in California USA. Our on site American team consist of 4x X games Gold Medalist Vicki Golden, World Record backflip holder Brian McCarty, Colby Gort, Calvin Cheatham, plus many more along with our MC Kenny Bell. Feel free to get in contact with our team today to discuss our Live Show at your event anywhere across America. The FK headquarters resides in the California. 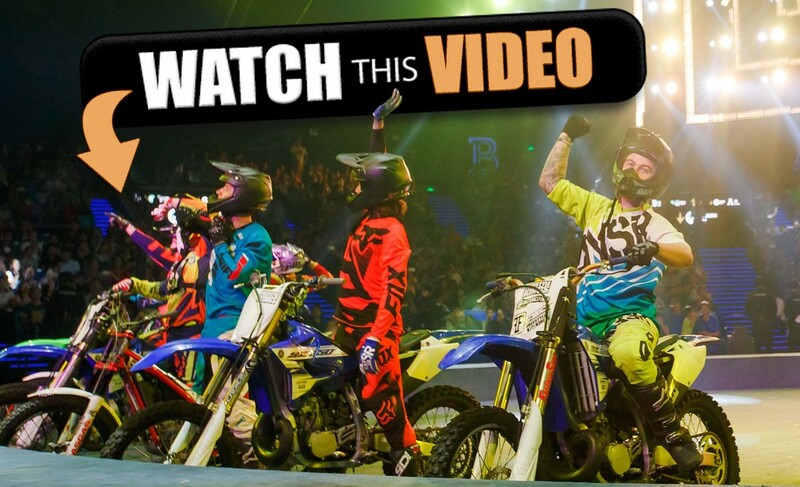 Freestyle Kings provides Freestyle Motocross events across the world. With the Freestyle Kings growing year after year, we've performed over 2000 shows worldwide.